Unfolding - Trailer from SubRosa Dance on Vimeo. Dance film and the daily news share a core commonality — they both reach the other side of the world within a matter of seconds. Littered with the vestiges of newsprint-covered sets and costumes, the film Unfolding tangles the female body inside columns and headlines. At the heart of Unfolding is a lost 20th-century ritual: opening up the daily paper. There’s the thump as it hits the porch threshold. A crinkling as it opens to the boldface inky headline. The newspaper takes its place as an equal dance partner in Unfolding’s every frame. 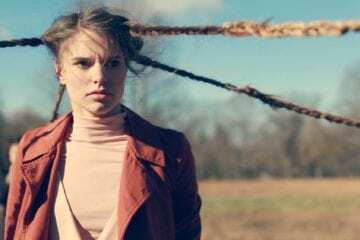 Unfolding is one of several works by national and international dance filmmakers to be screened during Atlanta Dance Collective’s fourth-annual Opine Film Festival, March 30 at Synchronicity Theatre. The work is the brainchild of Suzanne Chi and Rachel Slater of Muddy Feet Contemporary Dance and Kailee McMurran and Lena Traenkenschuh of SubRosa Dance Collective. All four of the Portland-based creatives believe in the far-reaching power of dance on film to share artists’ stories and cultures. This is Muddy Feet’s first dance film and SubRosa’s second. Chi attributes the work’s crisp imagery to director Dylan Wilbur’s “Hollywood” sensibilities. Women are the central figures in Unfolding as they manipulate a newspaper-coated environment. The covered surfaces creep in, overtaking the brightly colored living room just as a flood of breaking news would fill our scrolling screens today. The dancers climb over the couch, coffee table and walls with a curiosity and detailed precision. 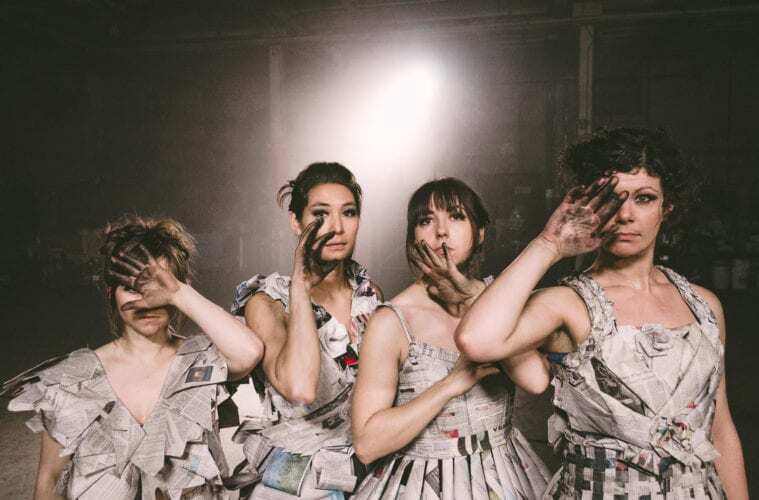 A shadowy warehouse serves as foil to the domestic space, illustrating a loss of control as newspaper residue inks the skin and dancers spin out in handcrafted newspaper costumes. There’s a clear commitment to experimentation from the way each movement is made to the cameraman’s choices in capturing it all. Director of photography, Sam Membrino, strapped on rollerblades and skated around the warehouse to achieve a smoother, continuous shot. Editor Duke Stebbins created the original sound score from scratch in post-production. As a fan of innovating in these nontraditional venues and processes, Chi remarks on film’s ability to make the environment a real presence. She says it’s also an avenue for smaller companies and independent artists to join a worldwide conversation and impact audiences, seen and unseen.